30% Discount on participation fee!! 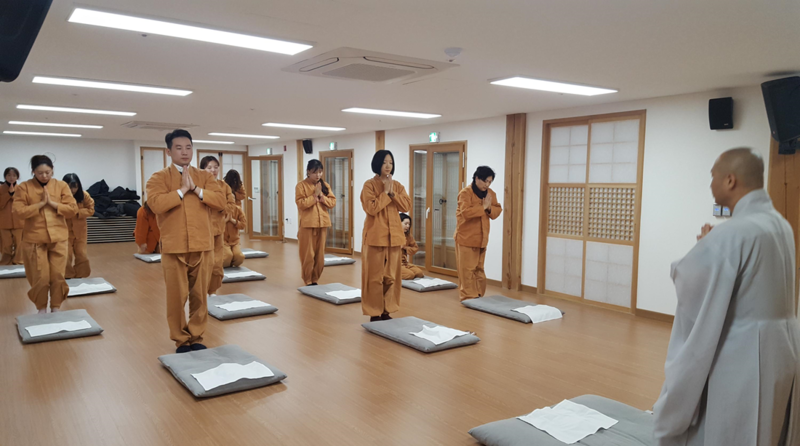 Bongeunsa Templestay Office will hold a discount event for 3 months to mark the 1st anniversary of the opening of the Templestay house(Traditional Culture Center) built as a traditional Korean house. There are a program room and a tea room on the first floor of the Templestay house and several private rooms with a shower booth, air conditioner and heater on the second floor. Especially, various programs such as tea ceremony experience, copying sutra in golden ink, temple tour, meditation with a monk, eating temple food, 108 prostrations await you. 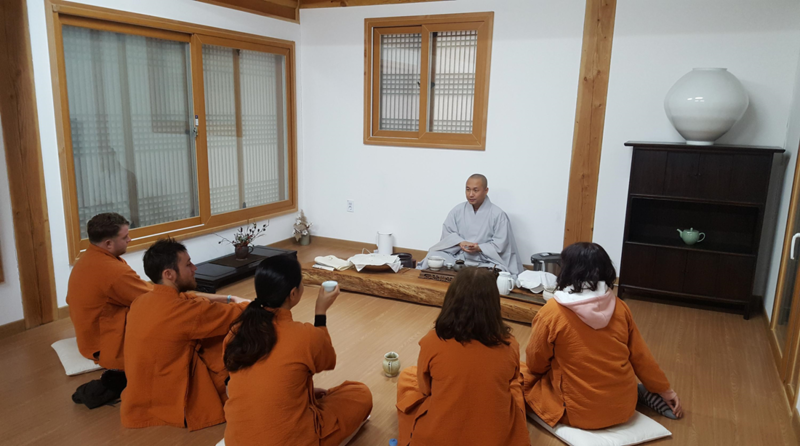 In such a pleasant enviroment, we hope you will take the chance to experience Bongeunsa Templestay! 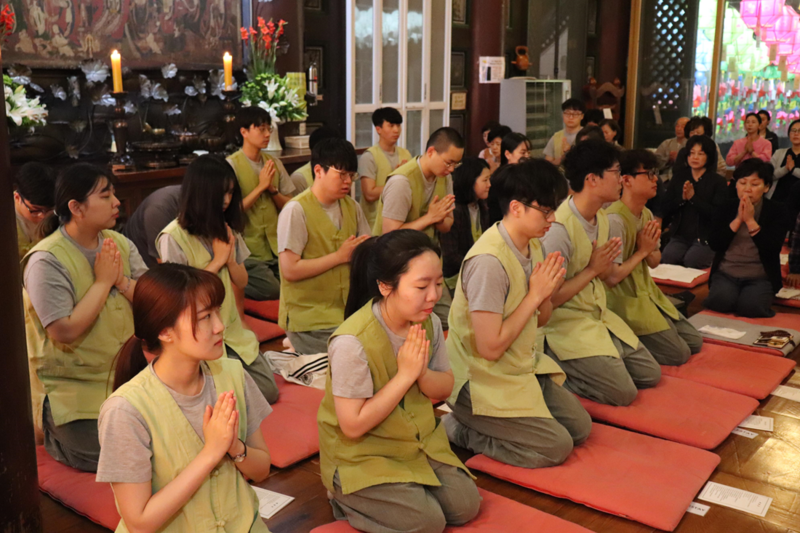 This is a program to experience of various (Korean) traditional culture linked with historical characteristics of Buddhist temple. 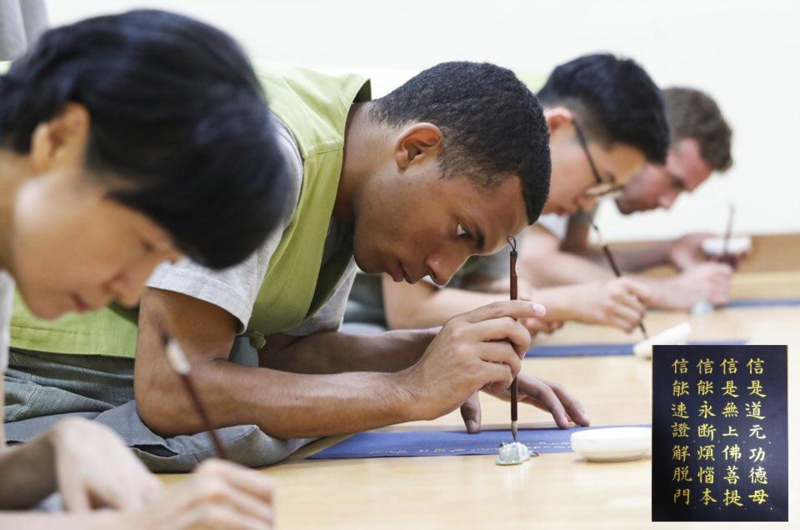 You can learn many traditional culture such as Lotus Flower Lantern Making, Ingyeong ( Wood Block Printing from the Tripitaka Koreana ), Making Temple food and so on by yourself. 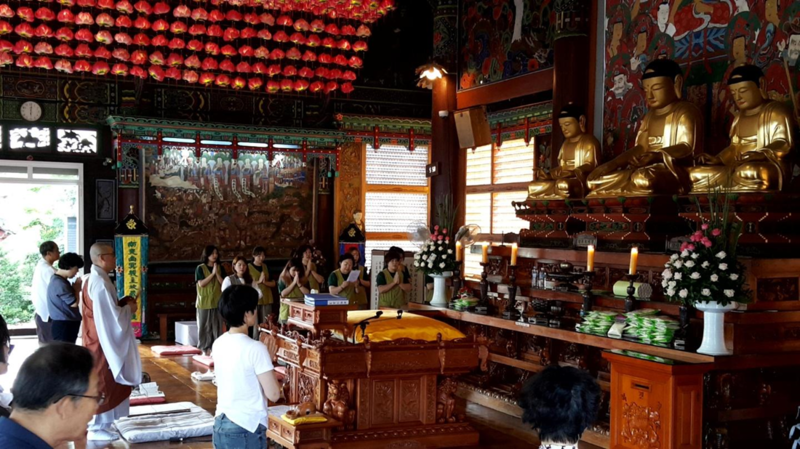 Temple tour is not only visiting the Buddhist temple but experiencing Korean Buddhism and culture. 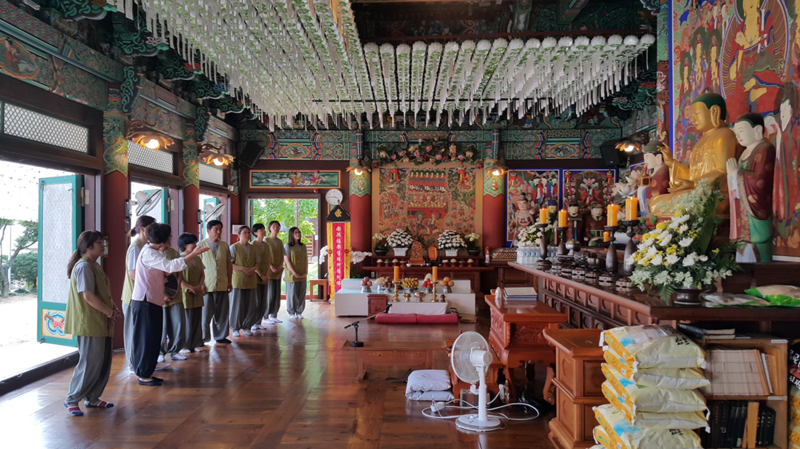 Korean Buddhist temples have been the bedrock on which brilliant Korean culture has been blooming over the past 1700 years since Buddhism was first introduced to Korea. 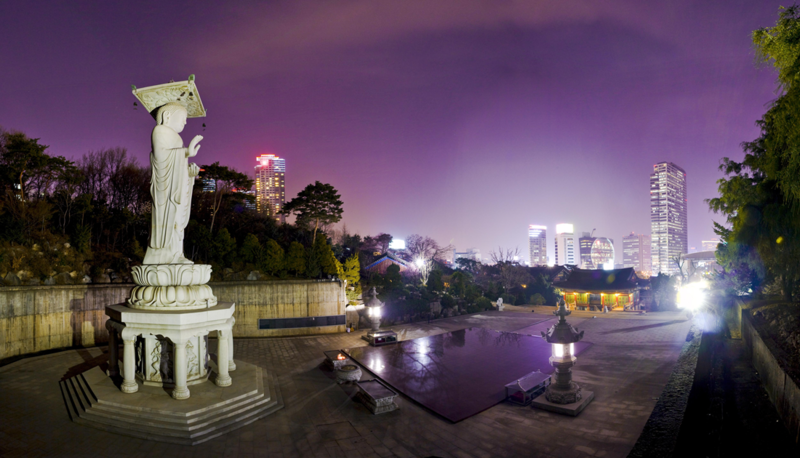 Various Buddhist cultural properties including the structure, architecture, sculpture, art, craft, Buddhist painting and Dancheong (temple paintwork) contain the teachings of the Buddha. Thank you for participating in Templestay. We welcome all who have come to discover their ‘true self,” regardless of differences in nationality, world view, age, or gender. Let us introduce you to a some temple etiquette that will make your stay enjoyable and comfortable. We hope that every day is a good day. Thank you. Even one gentle smile or kind word manifests the mind of the Buddha. Whenever meeting someone on the temple grounds, place your palms in front of your chest, called “hapjang,” and offer a half-bow. Whenever entering or passing by the Main Buddha Hall, face the direction of the Buddha statue, place your palms in hapjang, and offer a half-bow. Noble silence is a way of having a conversation with yourself. Experience the joy of practicing looking inward. The temple is a place of spiritual practice and devotion. Try to keep noble silence at all times. Please refrain from idle talk in any building where the Buddha is enshrined. Through utmost dedication and adoration toward the Buddha, you can attain boundless merits and wisdom. devotion and faith in the triple gems of the Buddha, Dharma, and Sangha. Sit in designated seats in the Main Buddha Hall and follow the signals of the moktak, or wooden handbell. Participation in temple meals is mandatory. Comments about the taste or quality of the food are highly discouraged. Try to eat as quietly as possible. Refrain from making any sound at all, if possible, including the sound of slurping food or clanking bowls. Buddhist practice begins when we are modestly dressed in clean and tidy clothes. Please refrain from using strong perfume or thick make-up. Please return your uniform when you leave the temple. In the temple, please keep your hands in a position called “chasu,” meaning “crossing the hands.” Chasu is a posture that signifies inward contemplation of your mind and outward consideration toward others. Abstain from running around or rough or crude behavior. Try to refrain from individualistic activities. Empathy, consideration, respect and civility are essential to maintain harmony and peace within the community. Keep to the time schedule and do not wander into the off-limit areas. Alcohol and cigarettes are absolutely forbidden in the temple. gratitude to the material abundance granted to you. Actively participate in the communal work. Please try not to bother others during the free rest period. Line9(goldenline): AtBongeunsast.exit1, 100 meters( 109 yards) away on your right.